Interested and qualified candidates should send their updated CV to: yinka.oyebamiji@xceldigits.com. Application Deadline 31st August, 2018. The Cameraman must be very creative and ready to travel. Interested and qualified candidates should send their CVs to: recruitabuja@gmail.com Application Deadline 3rd August, 2018. Ability to manage website and produce creative materials will be added advantage. Applicants must have strong writing and communication skills. A CSO-Social Enterprise that supports and focuses on youth empowerment and community rights) proposes to undertake a research work on urban slums in the Federal Capital Territory Abuja to explore possible sustainable clean businesses and skills needed in rural-ghetto areas (popularly described as indigenous urban slums) so as to guide the locals (mostly women and restless youth) into arriving at identified problems, common challenges, as well as new opportunities. The end would be the creation of a new values and a systematic and strategic manner to amplify local voices, create platform, network for skill acquisition for the youths and women via pressing new demand to the government and constituency representatives ahead of the 2019 election; unlike old norms where restless ghetto youths and women sell their votes and become social vices for political elites. move and live in the ghetto/slum area for 1/2 month, have flatmates/observers/field officers who would live in the area as a local; interact (guided by a daily task routine) with targeted persons, age grades, business, chieftains and social groups. this would enable the observers have first-hand experience of what the locals experience, understand the social, environmental, political and cultural trends; but are however conditioned to think solution while un-interrupting existing experiences at the first instance. Possession of good certificate from a reputable University/Polytechnic. Must have 1-3 years valuable experience in customer care management. Must be intelligent, smart, hardworking and honest. Must be able to handle and make as many calls as possible in a day. Only females are to apply for this position. Interested and qualified candidates should send their CV’s to: career@vijufamily.com. Application Deadline 13th August, 2018. Note: Only applicants residing in Lagos will be considered for possible employment. 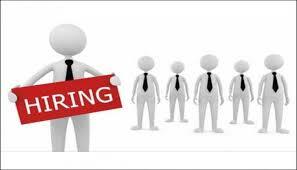 Interested and qualified candidates should send their resume to: ofixrecruit@gmail.com. The job reference code should be the subject of the email. Application Deadline 31st July, 2018. Interested and qualified candidates should send their CV’s to: hr@kingscrewmedia.com Application Deadline 5th August, 2018. Interested and qualified candidates should send a comprehensive Résumé to: recruitment@heworld.com quoting the applicable “Job Reference” as the subject of the mail. Application Deadline 31st July, 2018. Note: Interview is scheduled for Wednesday and candidate must be ready to resume 6th August,2018. Minimum of 5 years working experience in the consulting industry. Interested and qualified candidates should send their Applications and CVs to: jobs@michaelstevens-consulting.com. Application Deadline 6th August, 2018. Interested and qualified candidates should send their CV’s to: jobs@greatbrandsng.com. Application Deadline 3rd August, 2018. Bachelor’s degree or HND in Eng. or similar, with 5+ years demonstrable O&G production metering/measurement experience. Interested and qualified candidates should send their CV’s to: recruitment@petrokoilandgas.com with the “Job Title” as subject of the mail. Minimum of 7 years’ experience as an electrical instrumentation engineer in the installation, repair, testing and maintenance of a wide range of electrical instrumentation equipment, preferably in an oil/gas industry. 10 to 15 years experience. SME with 15-20 years’ experience in the Exploration realm. Bachelor’s Degree or HND in Chemical Engineering or similar, with 10+ years demonstrable O&G production chemistry experience.